Recently on a visit to San Francisco, I chanced upon the Rotring Artpen at the newly opened Blick superstore in Market Street, and the name Rotring ringing a bell I picked up a Sketch EF (Extra Fine) along with few cartridges of brilliant Black. The unique design of the pen with a brush like handle, very light weight(just about enough weight) makes the pen interesting (Not to mention the beautiful metal box). The performance of the pen itself is amazing, the EF nib, creates amazing line quality, writes like silk, and the ink... its brilliant. The Ink is dark, and does not bleed or feather and creates crisp lines. The surprise came when I added a dash of water from my newly aquired Niji waterbrush.. and I was stunned. 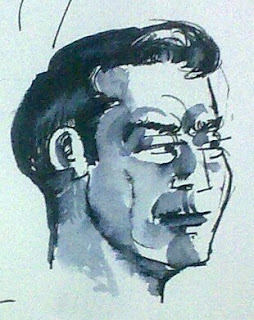 It created a rich textured wash, with several tones, and pretty deep for an ink. Back in Chennai I checked out local art store for more of these Artpens. Unfortunately the digital revolution has diminished patronage for fine art pens, and all I could get was a stash of old stock of what are known as Rotring Rivettes. 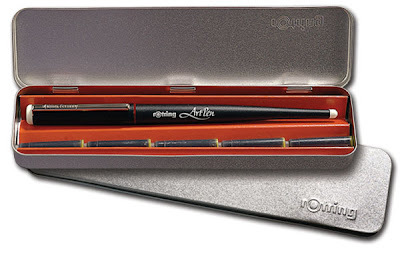 Though not called Artpens these are fine fountain pens, though meant for the beginner. I also obtained brilliant brown ink cartridges and loaded these up....and I was simply blown away. This is one of the best browns, deep and rich. This has opened up a whole new medium. 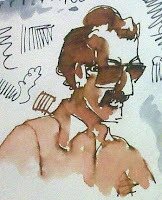 Glenn Vilppu talks a lot about how fountain pens and non-waterproof ink can be such a liberating medium for sketching. Rotring with its inks are the perfect tools. 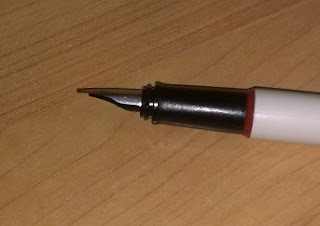 For the record, the Rotring Artpens come under different types.. 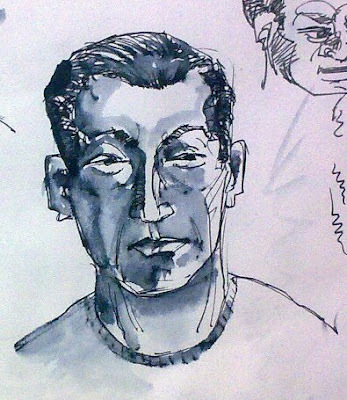 The ones relevent for sketching are the EF and the F.
Couple of great resources on Pen and Ink as art form..